Mountain biking in Valle Aurina means being free… being free to choose your own route. You might decide to take an unforgettable tour to the summit of one of the many mountains, or you might prefer an easier route to the crystal-clear lakes or refreshing waterfalls. 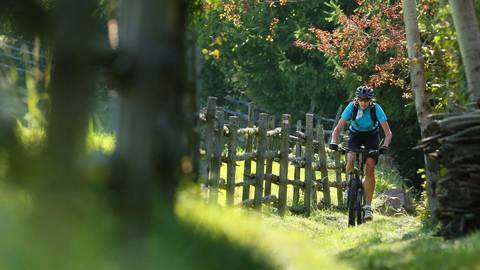 Our highly developed network of cycle paths is appropriate for all age and ability levels, making it well-loved among mountain bike enthusiasts – a true treasure trove of unique outdoor experiences. At the Stocker Alpine Hotel in Campo Tures, you can enjoy the many benefits of the active mountain hotel programme. Select from a variety of different guided mountain bike tours each week – the locals are also always on hand to pass on their insider knowledge or the area. 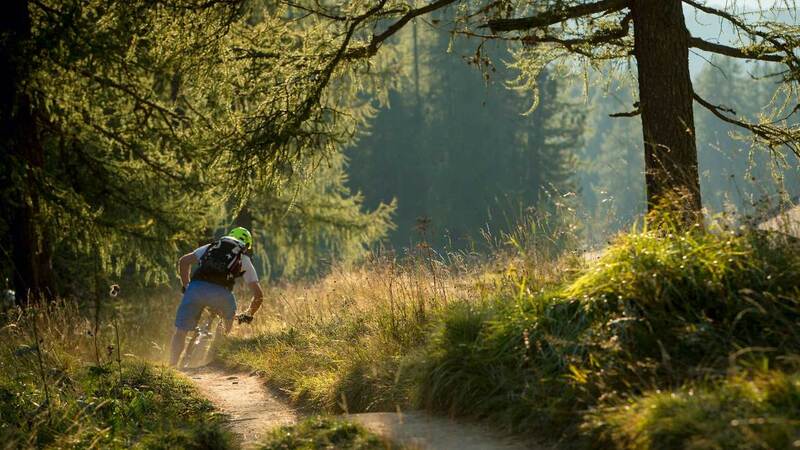 Alongside mountain tours for pleasure cyclists, single trail tours and medium-difficulty waterfall paths, you can also take part in mountain bike skills workshops. If you’ve left your own bike at home, we would be delighted to lend you one of ours so you can make your two-wheeled experience in Valle Aurina a memorable one.